This year’s trade deadline moved talent to the East, which strengthened the talent level of the Conference. 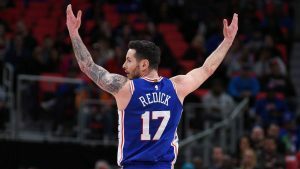 The Bucks, Raptors, and 76ers improved their rosters and, with the always strong Boston Celtics, form a formidable group of teams that could produce great playoff battles. It is a welcome change from the Lebron-dominated era and one I’m greatly looking forward to watching. If anyone wants to talk basketball besides fantasy, drop a comment below about which team you think ends up with the Eastern Conference title. Due to the nature of last week’s article there is no review of the suggestions, so off we go to the new ones. Fantasy Basketball: Still Perplexed in the Year 7 A. D.
Who does that? 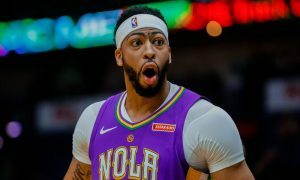 This is A. D.’s seventh year in the league and he is moon walking, earth slithering, asteroid stomping, and universe hopping over all the competition. He has no weaknesses and is the perfect fantasy asset. There’s a reason why he was selected #1. There’s a reason he’s been the #1 player over the last week, the last month, the last two months…..for the whole freaking season. Now, we all know about the injury risk, but there’s also his playoff schedule, as he only plays 9 games (3 games each playoff week). Do you sell him, do you buy him? It’s a perplexing situation, but not as much as trying to make sense of the fantasy lines A. D. produces on a nightly basis. So, we’re three weeks into another joyous fantasy basketball season. The hot waiver pick-ups are gone or have fizzled out. Hope you got the ones with lasting value. Pretty soon, the sample sizes will be large enough to know that what we’re seeing is more or less legit. For now, there’s still a lot of regressing to the mean yet to come. Hot and slow starts will mostly fade away, and the players will be themselves over the long haul. Not everyone, as plenty of players take significant leaps or stumbles for the entire season, whether it has to do with a change of scenery, personnel, and/or usage. It can be tough to figure out whose rebounds and steals changes, for example, will stick. 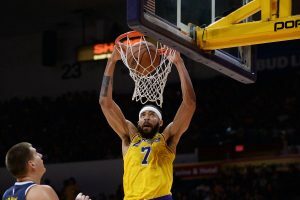 However, we can trust with a good amount of confidence that most players shooting percentages will end up relatively close to their previous numbers. And, this early in the season, when, say, Serge Ibaka goes 15-for-17 and then 8-for-8, percentages can be way out of line and skew value if you’re looking at rankings in a trade scenario. I’m going to take a break from numbers this week. 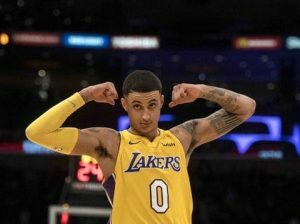 A break from Trey Burke, Quinn Cook, and Denzel Valentine impacting fantasy playoff teams infinitely more than Steph Curry, Demarcus Cousins, and Kawhi Leonard. A break from dealing with players on tanking teams sitting indefinitely every time someone steps on their toe, or from players on playoff teams resting without notice. Heck, a break from the NCAA tournament that only has one projected lottery pick left to watch. This is probably going to most interest dynasty and keeper league players, but those already itching to rank and project players for next season will find this intriguing, too. Today, I’m going to look at who this summer’s free agents are. That period from the draft (draft lottery only 47 days away!) through the first week of free agency is probably my favorite on the NBA calendar, since about a third of the league seems to change teams. So many new dynamics to consider for so many teams. The impact on fantasy is huge, too. I’m definitely no insider with information to help predict who’s going where, but I do find it helpful to know whose value is likely to remain the same and whose has a wide range of outcomes. The latter are often good targets if you need to get risky to improve your keeper/dynasty team over the summer. Do you have a Terry Rozier type that would gain a ton of value if he moved on to a starting role? Is he free to do so? Also, remember to think of which teammates might be affected by these players should they change teams. For example, are the players blocking Mario Hezojna’s path to more minutes likely to get out of his way? Then again, might LeBron, PG13, and CP3 all be coming to your player’s team to squash his usage? Here are the most fantasy relevant free agents. Wow, this summer could be a big one. How you gonna see them if you living in the fog? I was 8 or 9 years old when I, like nearly all other boys I knew of similar age, started seriously collecting baseball cards. This beautiful card was to blame for a lot of the shared madness. A fun, young player that wears his hat backward and is often featured in my Sports Illustrated for Kids magazines? And, what? A rookie card is worth more money? And one of his rookie cards will be in a set by a new company with much higher quality cards so that it’ll be worth a lot of money (for an 8 year-old)? 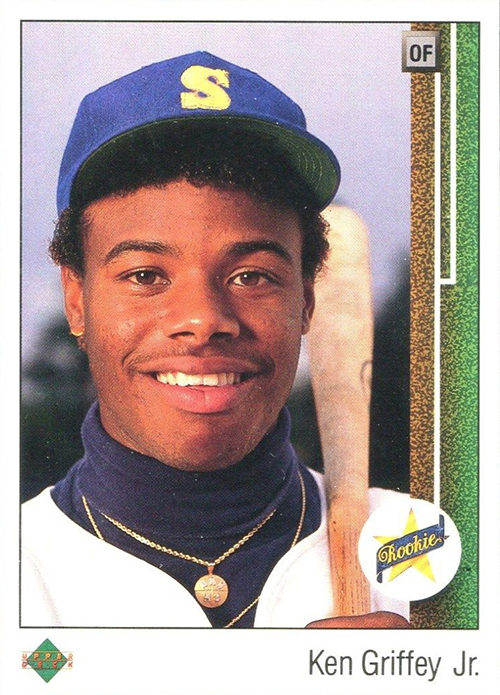 I must have this glossy picture of Ken Griffey Jr. Thanks to my parents and some friends that were as crazy about cards as I was, in probably five years I had many thousands of cards and hundreds of Griffeys. I subscribed to Beckett Baseball Card Monthly all along, and I’d track my most expensive cards month-by-month on a primitive Microsoft Works, I think, creating line graphs to show how rich I was becoming with my handful of cards worth over $20 apiece! Anyway, I sort of still do the same thing with my fantasy players. I’ll track rankings when they come out weekly, updating both season-long and dynasty when I really have the time. It’s a great way to know the market value of your players. You might also benefit from tracking player rater data, since it’s what’s actually happened instead of a prediction of what might happen. Though, a rest-of-season rankings projection does take the season data into account, as well as prior seasons and facts about past or present injuries to the player or his teammates. There’s value in paying attention to both, of course.